Recently there has been a big push away from the entry-level discrete graphics card toward on-chip GPUs. At the forefront of this push is AMD, first with their Llano APUs and now with the recently released Trinity series. These new chips offer solid CPU performance with a surprisingly powerful GPU built-in. You can check out our A10-5800k review for a full in-depth analysis of the new architecture in Trinity and its benefits over the previous generation. 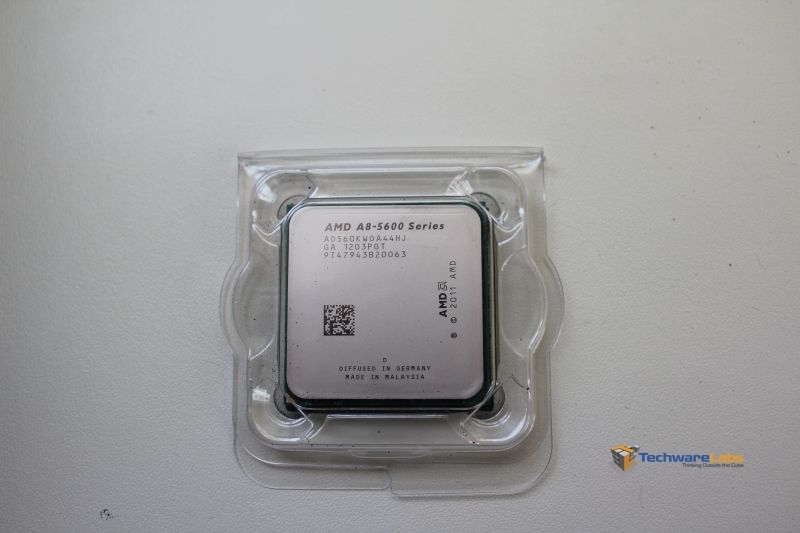 Today we are taking a look at the AMD A8-5600k, the unlocked third tier chip of the new Trinity series. With four cores, an unlocked multiplier, and a 7xxx series Radeon on-chip, this little APU offers a lot of punch in a small package. Read on to find out if it will be able to deliver. I have this apu. I am a little confused about the electric power consumption. Could you please let me know how much power it will consume while using the apu at 50% ? It’s max TDP is 100W. Isn’t it bad compairing intel chips ?